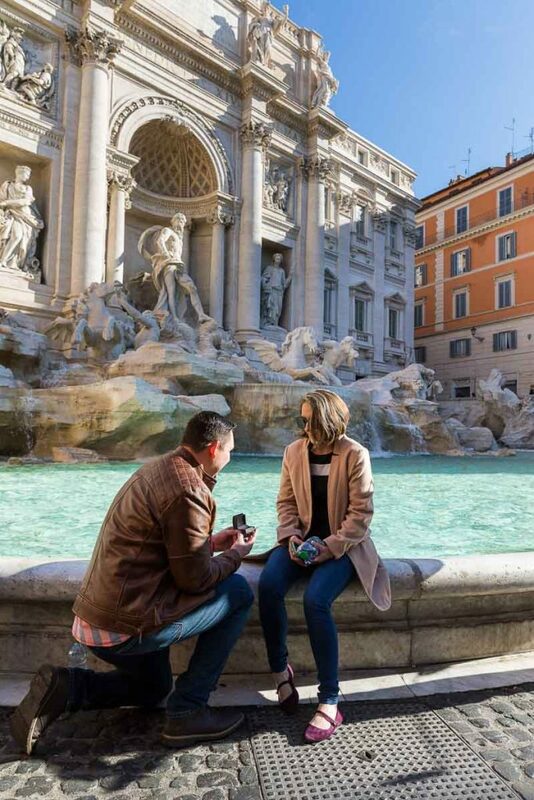 Just engaged in Rome! 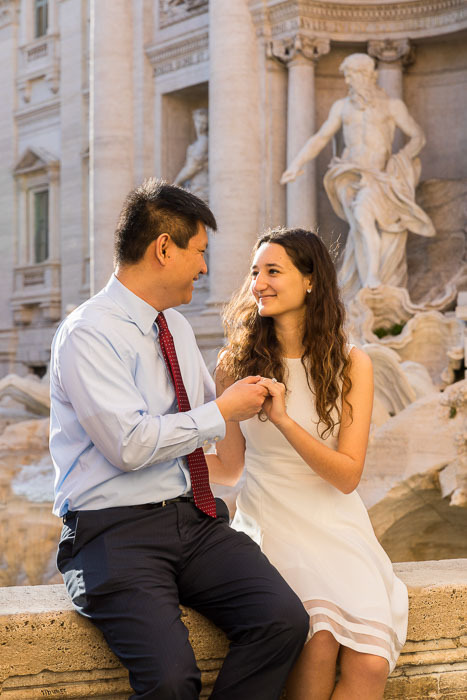 And celebrating with a romantic engagement photo session in the streets of Rome. 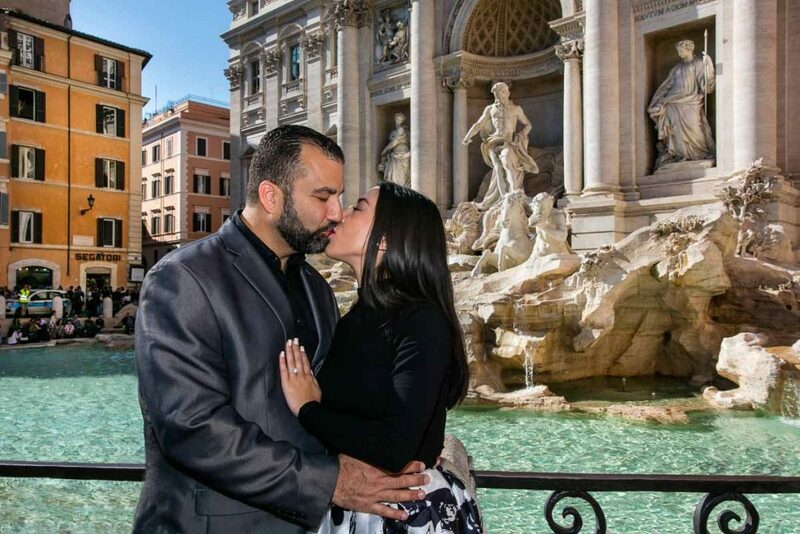 Starting from the stunningly beautiful Fontana di Trevi with some nice portrait pictures. With the white marble statues in the background. Just at the right time to capture the last golden rays of light shining through the buildings! Then catching a car ride to the Colosseum to shoot some more iconic images with the remarkable monument as backdrop. Including some artistic silhouette photos. Then on a nice stroll to snap some final pictures walking in the roman alleyway streets!